Bloom! Lock-Ins, Great Gatherings, and Out of Uniform Passes; purchase here. 2019-20 School Supplies Kits available to order from "1st Day School Supplies". Summer Solution Workbooks, just minutes a day keeps kids progressing. May 10 - PAA Volunteer Appreciation Reception in the courtyard (following Parent's Day Mass). Apr. 28 - Parish Leadership Council Information Session AND Interest/Nomination Form. May 13 - VIRTUS training at St. Odilia, 6 - 9pm; register online. Jul. 22 to 26 - VBS (preschool - grade 5), Register today. Jul. 22 to 26 - VBS Youth Leaders Needed (grades 6 - 12), Sign-up here. Bloom! Second Chance Auction Items - Closes at 6pm on April 19. Bloom! Silent Auction preview, the site will go LIVE tonight. Not attending Bloom!? You can still register for a bidder number after the site goes LIVE. Apr. 10 - Pete Larson presents "Laugh Often, Love More", 6:45 tonight in the church! 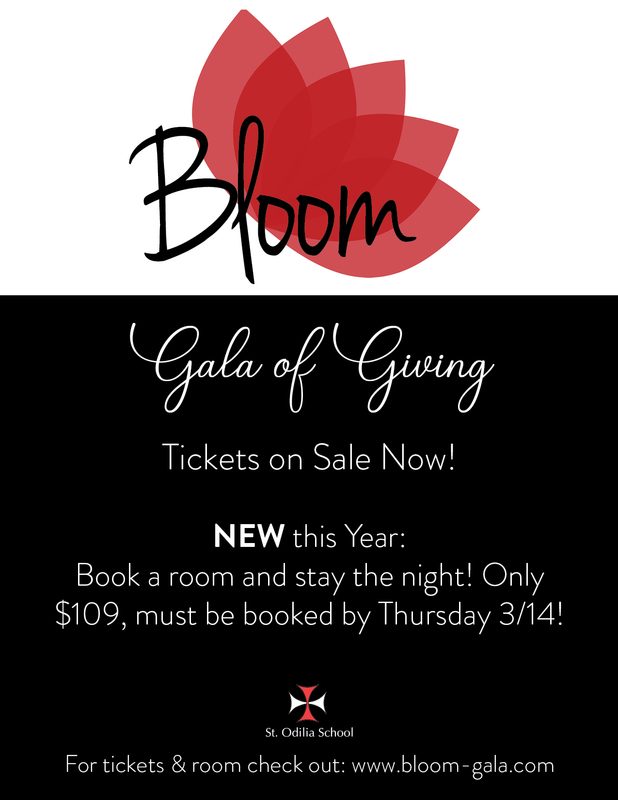 BLOOM Gala of Giving; Order Tickets by this Friday, April 5 and check out Bloom FAQ's! Apr. 11 - Preschool Dad and Me Night, RSVP by April 8. Bloom Needs Your Help; Volunteer today. Apr. 13 - BLOOM! Gala of Giving; Order Tickets by April 5! St. Odilia Early Childhood Class begins this Friday. Camp Invention is for middle school students too! March 30 - Middle School Retreat at Camp Eden Wood; today is the last day to register! Apr. 13 - BLOOM! Gala of Giving; Book a Room by THURSDAY 3/14; Tickets are on Sale. Spring Children's Choir (grades 2-6) begins Mar. 28; Register here. Jul. 22 to 26 - Vacation Bible School; Register here. Do you love bragging about St. Odilia School? CSCOE is looking for catholic school influencers. Applicants selected will earn a $2000 scholarship. Inaugural St. Odilia School Musical - Willy Wonka Jr. (calling all students in grades 3 to 8). See updates in yellow. Last call - registration ends today! Mar. 7 - Knight Watch Spring Break Release Day Registration Due Tomorrow. Mar. 29 - Lunch With A Loved One; Pre-Registration is Required online by this Friday! Apr. 13 - BLOOM! Gala of Giving; Tickets are on Sale. Introducing Inaugural St. Odilia School Musical - Willy Wonka Jr.! Calling all students in grades 3-8; Register by March 6. Turn your used markers into energy! Feb. 27 - Davanni's Fundraiser Night Tonight, 4-8pm. Mar. 22 - Yearbook Orders Due. Mar. 29 - Lunch With A Loved One; Register online by March 8. Camp Knight Watch this Summer at St. Odilia School; Register by March 1st. Feb. 28 to Mar. 3 - St. Odilia Musical Ministry presents - MARY POPPINS, this weekend. Jul. 22 to 26 - Vacation Bible School; Registration is now open. Mar. 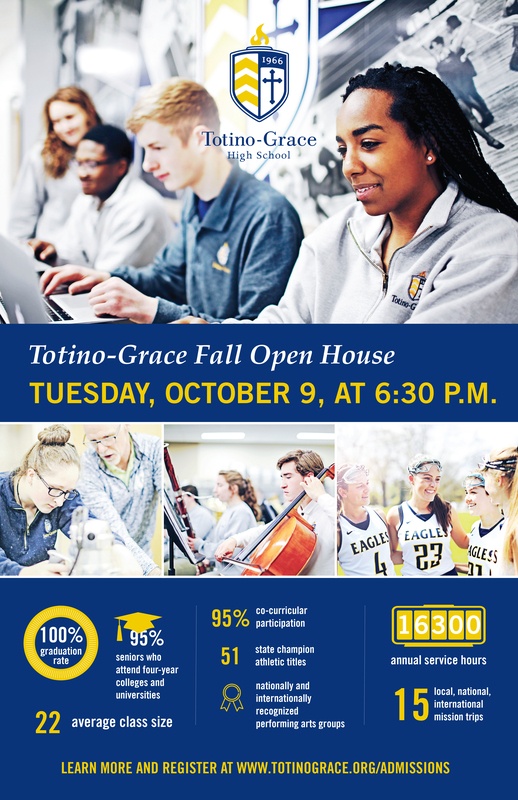 8, 7:30-8:30am at Totino Grace - Four Pillars Speaker Series. Help, Technology is Taking Control! Feb. 27 - Davanni's Fundraiser Night, 4-8pm. Knight Watch Spring Break Release Day Registration due March 7. Yearbook Orders are due March 22! Lunch With A Loved One, Save the Date March 29. Register online by March 8. Feb. 28 to Mar. 3 - St. Odilia Musical Ministry presents - MARY POPPINS, tickets on sale now. Make sure your child's hard work this school year is not lost during summer with "Summer Solution Workbooks". Make sure your child's hard work this school year is not lost during summer with "Summer Solution Workbooks"
Jan. 22 - PAA Meeting at 6pm in School Library, learn how you can support BLOOM! Jan. 23 - Family Service Night from 6:30-8pm in the courtyard. Register here. Dec 19 - Join other parents tonight from 6:30-8pm in room 1307 to reflect together on the season of Advent. Sterling Karate at St. Odilia, new session starts in Jan. Makes a great gift, use promo code "MERRY CHRISTMAS" for a special discount. Dec 12, 19 - Join other parents tonight and next Wed from 6:30-8pm in room 1307 to reflect together on the season of Advent. Ordering Shutterfly pictures, cards, or gifts for the holiday? Use St. Odilia's storefront from Shutterfly and the school receives 8% back! Ordering Shutterfly pictures, cards, or gifts for the holiday? Use St. Odilia's storefront from Shutterfly and the school receives 8% back! Shop thru Nov. 29 for up to 50% off almost everything. Thank you for the Thanksgiving Meal Service Project donations! A STREAM Night Thank You! Dec. 7 - Barnes & Noble Book Fair - Save the date! Nov. 7 - Modern Media, Join us TONIGHT! That's a wrap for Marathon 2018! Nov. 8 - STREAM Family Night, SAVE THE DATE! Did you know Amazon shopping can help St. Odilia? Final Week for Marathon Donations! Donate Supplies for STEM Class at St. Odilia! Updated-Donate Supplies for STEM Class at St. Odilia! Marathon 2018 Updates - Next Coin Collection is Friday! Sept. 23 - Preschoolers & Kindergarteners Try Sunday School This Weekend! When The Saints Come Marching In! - Marathon 2018 Info. Sept. 13 - Cub Scout Event All K-5th Graders Welcome! Health Office Update - Did you get your forms in? Sept. 11 - School Picture Flyer & Ordering Info. Swap Sale Volunteers Needed - Sign Up Here! Candy Collection for Fall Festival! Sept. 10 Culver's Family Night! 2018-19 Lunchroom Volunteers Needed - Sign Up NOW!